This season take your taste buds for ride with these delicious fruits and vegetables for the fall! 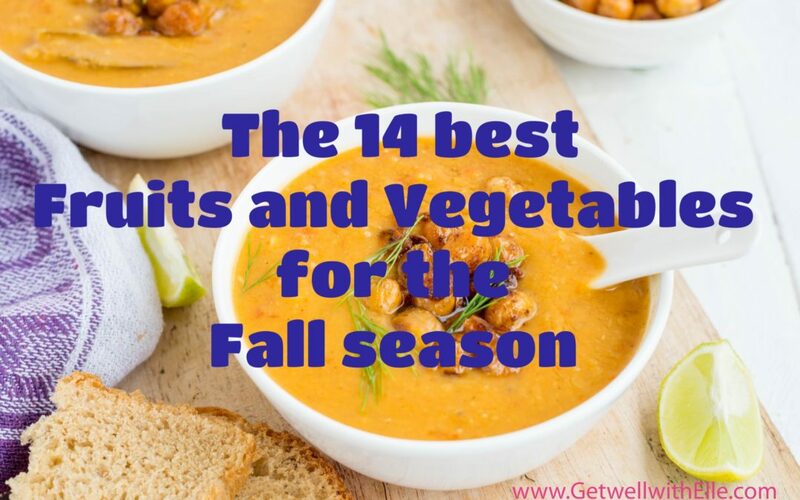 Everyone looks forward to Spring and Summer for the delicious fruits and vegetables that are in season, but there are also many wonderful foods that are harvested in the Fall. In the fall, is when root vegetables, beans and gourds tend to be ready for the table! 1. Pumpkin – Pumpkin can be eaten roasted or boiled and mashed. Remove the seeds in the middle first (they can be eaten, too). Add cinnamon, all spice, ginger and nutmeg to create that “pumpkin spice” flavor found in pumpkin pie. 2. Butternut Squash – Butternut squash can be cut into pieces and roasted, made into a hearty soup, or you can simply scoop out the seeds, add a bit of butter and roast. This squash gives a rich, creamy flavor. 3. Potatoes – You can do so many things with the potato. From hash to baked to mashed. Don’t forget to try different varieties, like red and purple potatoes. 4. Zucchini – Another squash, zucchini is often served boiled, steamed or sautéed with pepper, onions and perhaps some garlic (another fall item). Try Zucchini bread! 5. Apples – The apple offers so many ways to prepare: pies, sauce, chutney, even raw! There are also many varieties, each with its own unique taste. 6. Acorn Squash – This small, round squash is just as versatile as its larger cousins, and offers a light flavor that goes with anything. 7. Spaghetti Squash – Roasted or baked, this squash is rather bland, which means you can add pesto or seasoning to taste. 8. Cabbage – Red or green, cabbage offers many health benefits and a fresh crisp to salads. It can also be used baked or sautéed into foods as well. 9. Pears – As with the apple, the pear offers several varieties which each offer their own flavors. 10. Brussels Sprouts – There are two kinds of people in the world, and some of them actually like Brussels sprouts! Steamed, roasted or sautéed with seasoning to taste, Brussels sprouts are packed with nutrients. 11. Carrots – A root vegetable, much like potatoes, carrots are great steamed, boiled, in stews, shredded and roasted. You can even eat carrot sticks raw. 12. Sweet Potatoes/Yams – Like the potato, sweet potatoes can be cooked in so many ways, roasted, baked, mashed, boiled, steamed, you name it. They can be added to other foods or enjoyed alone. They have a sweeter taste than the potato and are more filling. They are also an excellent source of fiber. 13. Turnips – Turnips are the most overlooked root vegetable! Many people don’t know what to do with turnips, but they are pretty versatile. Smaller turnips can be sliced into salad, while larger ones can be baked, boiled, steamed or sautéed. Turnips tend to go best with savory flavors. 14. Beets – Beets are a unique source of phytonutrients that offer significant nutritional value. They are especially great for liver health, but are very approachable at dinner time. They can be eaten raw, sliced into salad, or boiled, steamed or baked into foods. Beware; they do tend to turn everything red, even urine! Many of the squashes available this time of year can be mashed or chopped into a hash, where other seasonings and foods can be mixed in with them. Which from the list are your most favorite? If you have a recipe with any of the fruits and vegetables listed, feel free to share it with us in the comment section below! Oh, and if this time of year makes you feel more stressed, check out my other post, Grab these 6 stress reducing foods, instead of someone’s throat!